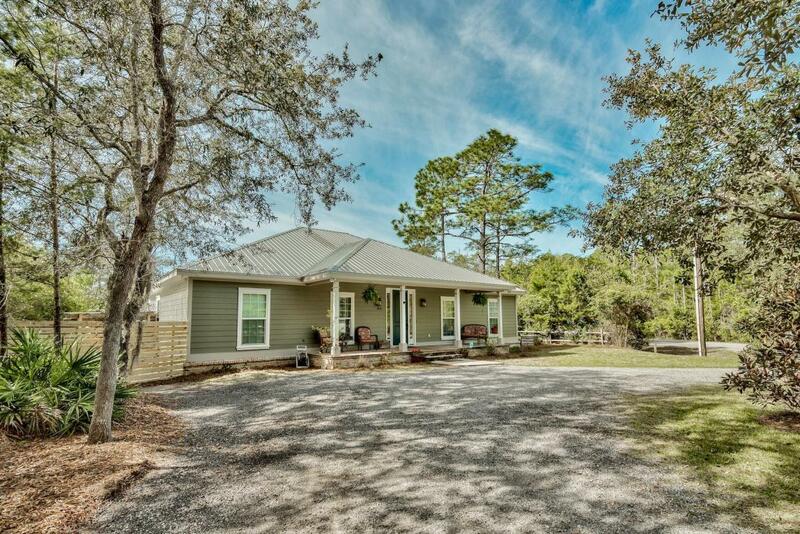 This charming waterfront home with dock is being offered on two lots totaling 1.84 acres! Perfectly positioned and masterfully planned, this 3 bedroom with separate office/bonus room is sure to please the most discriminating buyer. 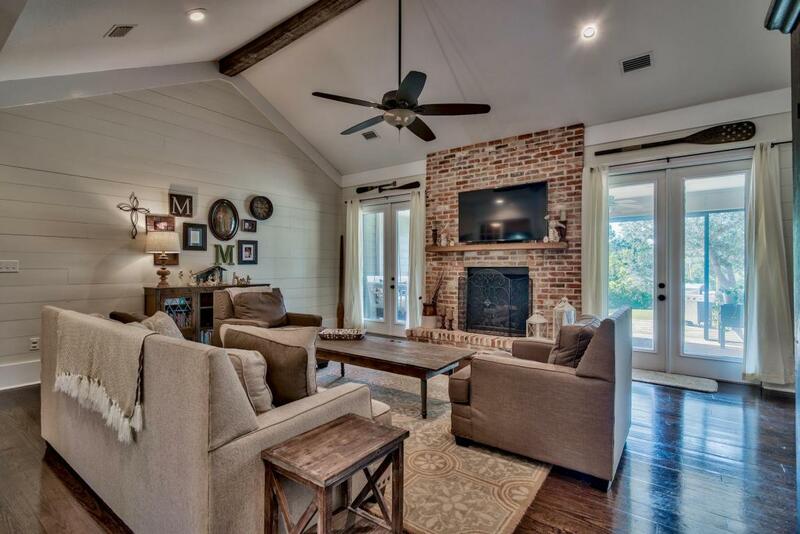 Upon entering the foyer you will be greeted with shiplap walls and hardwood flooring, which will carry over into the open living area featuring a vaulted ceiling accented with a beam of cypress, and fireplace finished with reclaimed brick that spans floor to ceiling. The open concept plan will lead you into a finely appointed kitchen, featuring custom Knotty Alder wood cabinetry, gas stove-top with an industrial range, brick backsplash and granite countertops, finished with a hammered-copper farmhouse sink. Once inside the master bedroom you will noticethe double tray ceilings and French doors which lead out to the outdoor living area - undoubtedly your attention will next be pulled towards the oversized walk-in closet which is 10' x 17'! The exquisitely detailed master bathroom boasts a walk-in shower, granite countertop with double vanity featuring raised copper sinks and a clawfoot tub, shadowed by reclaimed cypress wood. On the other side of the home you will find the 2nd & 3rd bedrooms, which share a full bath offering custom accents. Off the living area you will find a separate bonus room, currently being used as an office, which could easily be converted into a 4th bedroom. As you step outside through the rear of the home, you will find the large covered porch complete with a swinging day bed, which is the perfect excuse to open the fully retractable screened enclosure. Across the generously sized backyard is the private dock, which provides sweeping views and will lead you to the property's canal access. 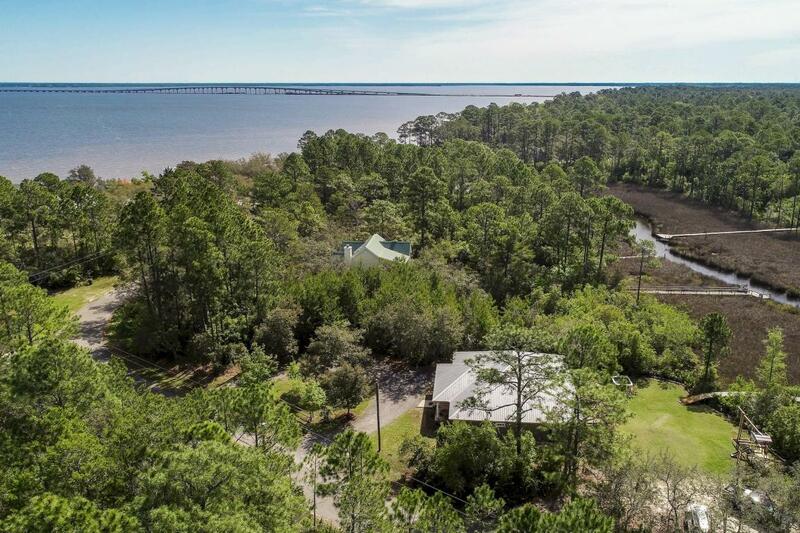 From here, you are just a short paddle board or kayak ride away from the Choctawhatchee Bay. 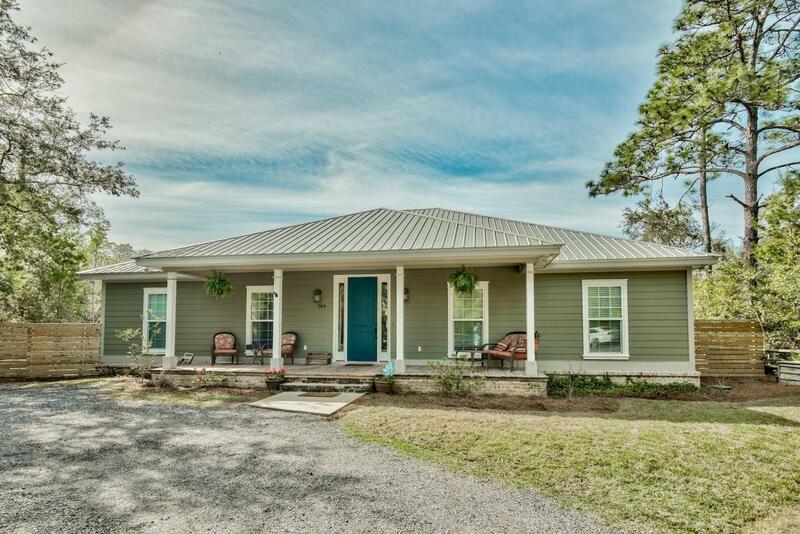 Additional features include; Galvilum 26-gauge metal roof, 175 gallon buried tank for propane, Rannai tankless gas water heater, spray foam insulation in attic, all doors are solid core, exterior doors and windows are all 145 MPH Impact Rated.